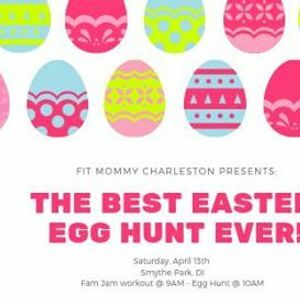 Fit Mommy Charleston Presents: The Best Easter Egg Hunt Ever! We are so EGG-Cited to invite you to The Best Easter Egg Hunt Ever! This event is FREE for ALL families and is a great way to have some Easter fun with your family after a fun and invigorating workout! Bring your own Easter Basket... we'll handle the rest! No ticket necessary- RSVP "Attending" and we'll count you in! This is an egg hunt you won't want to miss- we've got TWO golden eggs with some big prizes for the whole family! 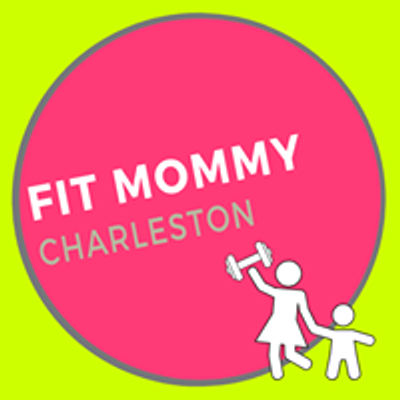 Fit Mommy members who bring a friend will be entered to win a $20 Target gift card- one entry for every friend you bring (aka- bring more friends, bigger chance to win)! - Meet on lawn on Smythe Street between Daniel Island Dr. and Pierce Street (next to Pirate Park playground). - On-street parking is available on Smythe Street in between Daniel Island Drive and Pierce Street OR on Daniel Island Drive. - Stroller for your littles... we do our best to keep our little ones in the stroller the whole time. Don't worry, we keep them moving to keep them engaged during your workout. - Water.. you're going to break a sweat!